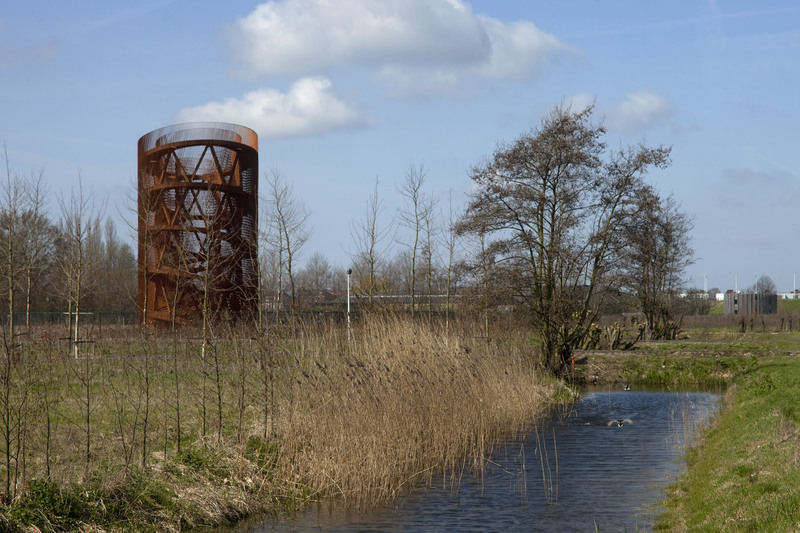 Lucas Lenglet’s Observatorium is one of seven artworks in ‘Sculpture Park Leidsche Rijn’. 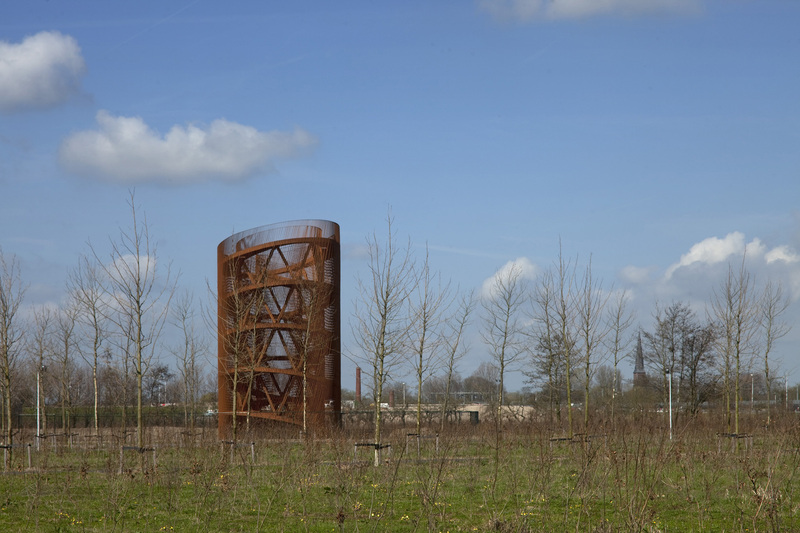 The Sculpture Park has been the closing project of ‘Beyond’, Leidsche Rijn’s long-term art programme. 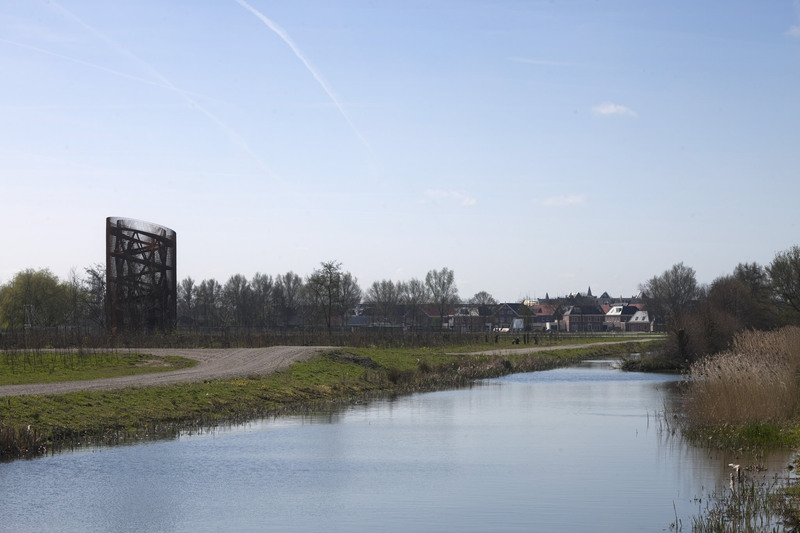 The scenario for this project: “Beyond Leidsche Rijn, de Vinex-opgave voor de kunst” (“Beyond Leidsche Rijn, the Vinex-assignment for the arts”) has been a project examining relationships between visual arts, landscape, urban life and Leidsche Rijn’s development programme. 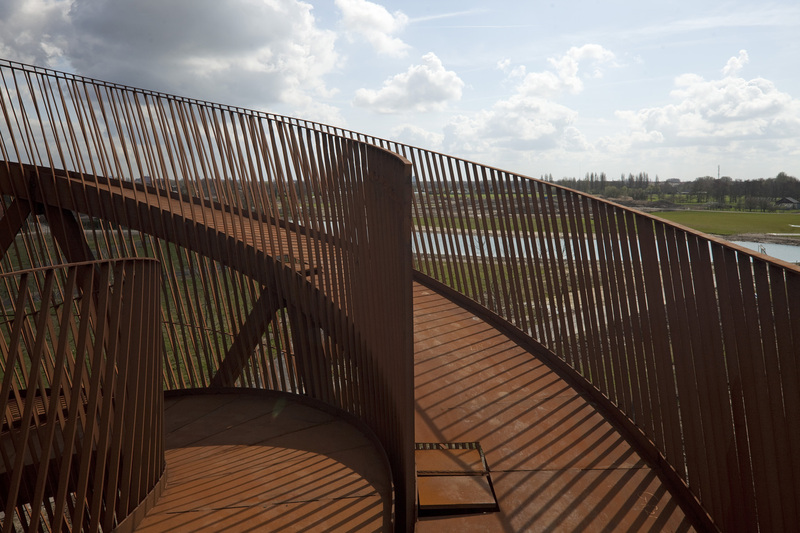 Artists have reacted on specific developments within Leidsche Rijn, and on ‘Vinex’ as a phenomenon in general. 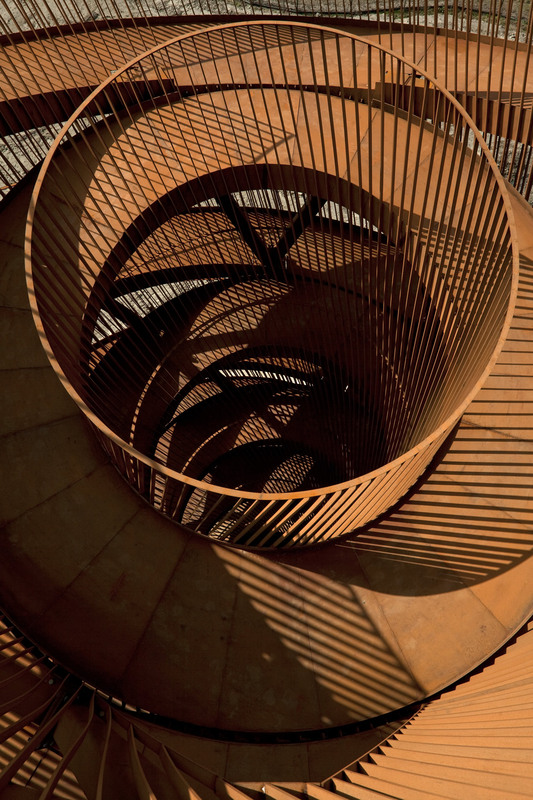 ‘Beyond’ came to an end in 2009 – as a farewell present seven works of internationally renowned artists have been realized. 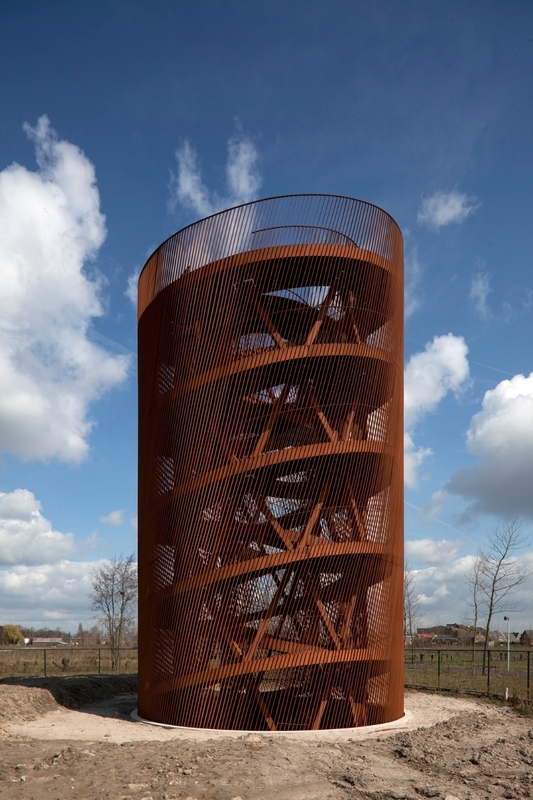 By means of an ingenious intervention Observatorium facilitates an endless walk. During this walk the visitor’s coordinates hardly change: a path takes him through a slender fourteen meter tower above (future) tree level, to subsequently lead him back to ground level as a matter of course. 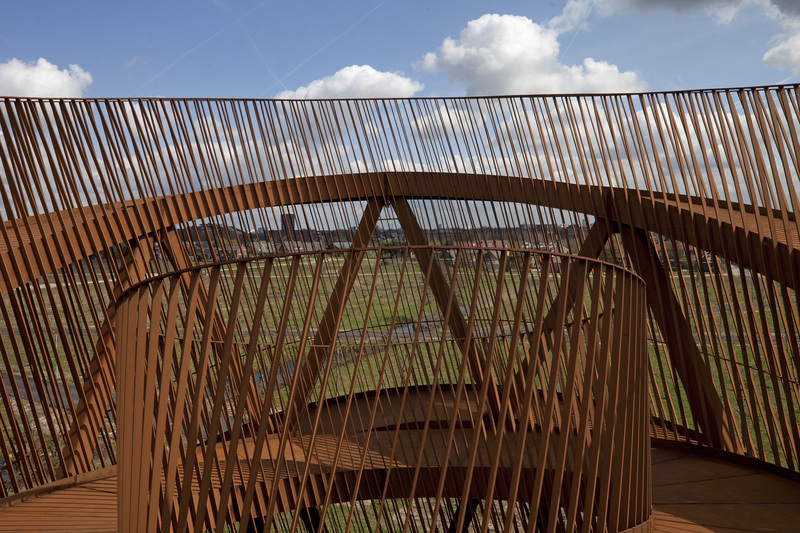 In February 2009 the inhabitants of Leidsche Rijn selected Lenglet’s work from three proposals for an interactive sculpture on the playground of Leidsche Rijn Park. 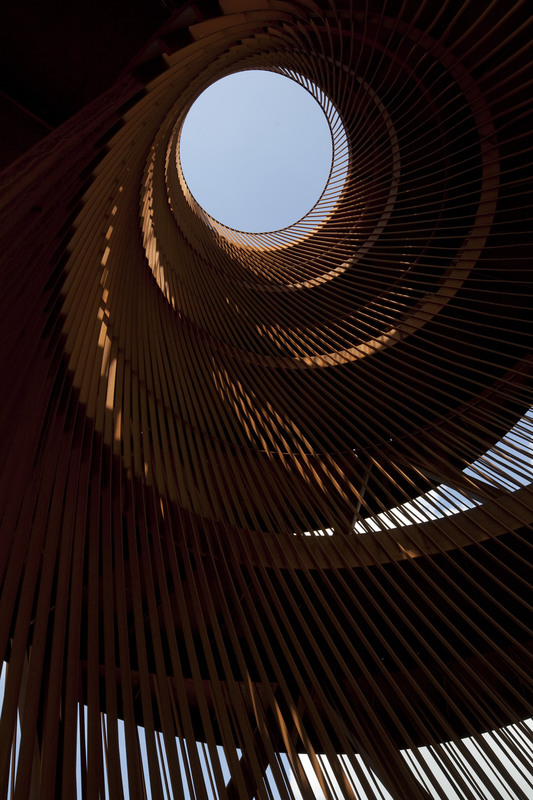 The basis for the artwork and its infinite promenade are two – when seen from above – circular paths. The largest ring is 8,5m in diameter and measures 1,25m in width. The smaller ring is 6m in diameter and is also 1,25m wide. 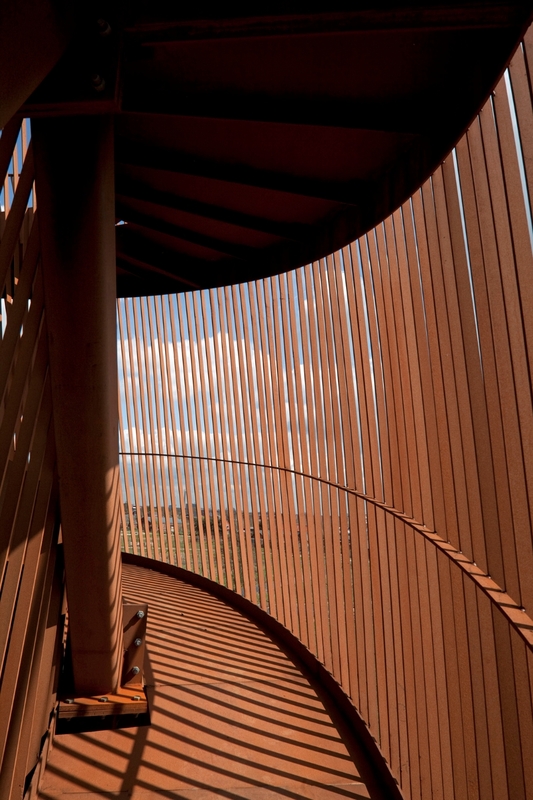 Both pathways are constructed at an angle, enabling the visitor to either stroll upwards or downwards. By linking a larger and a smaller ring, one can climb 3m by covering two half circles. To come up to the highest 14m level 5 units of larger and smaller rings are vertically linked. The 27-degree torsion between the units creates an extra visual tension. 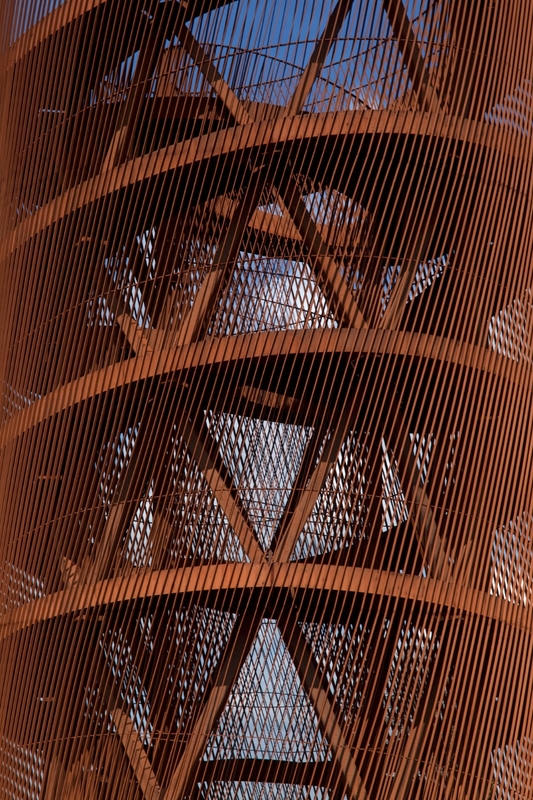 To enable a climbing plant’s vegetation and to prevent visitors from falling down a shell of ‘strips’ of steel have been applied around the pathways at an approximate angle of 15 degrees. 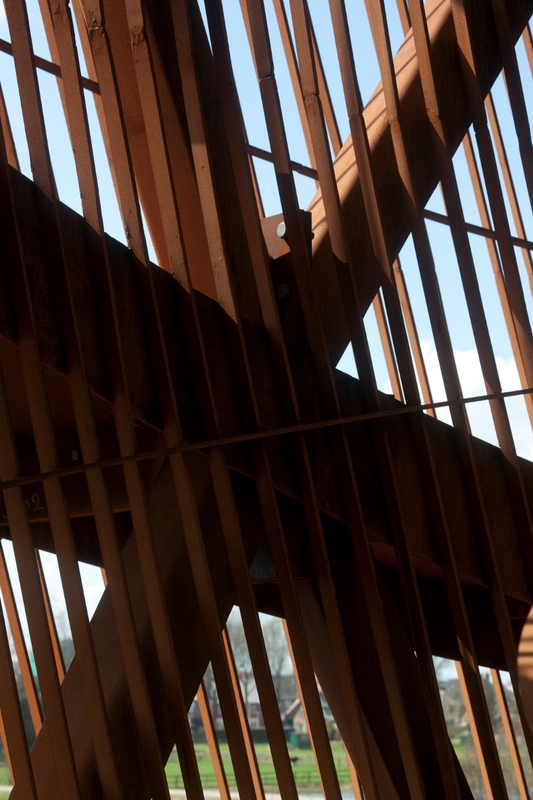 The strips connect the respective pathways and allow the visitor to enter the tower and alternate between the larger and smaller rings via cutaway areas. 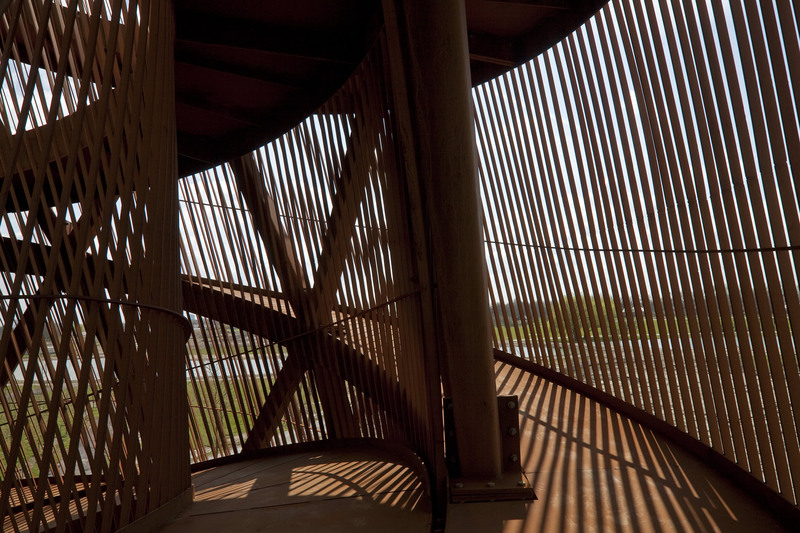 One framework of slanting steel columns holds the pathway surfaces. The columns are affixed to the inside of the larger circles, establishing triangular shapes between the surfaces that consolidate the construct’s stability. The single row of columns ensures the tower’s transparency. The inner and outer circles are connected to the columns via cantilever consoles. To ensure the work’s lightness and to keep it maintenance-free the decision has been made to use CorTen-steel for its execution. All parts are manufactured from sheet material and prefabricated to elements in the workshop. Even the column’s tubes are made of sheet material: two V-shaped elements, formed by joining 10mm sheets, are welded, establishing a closed rectangular tube. Finally all prefabricated elements have been bolted together to constitute the tower. The work’s different angles, twists and torsions compose a beautiful pattern of lines, changing appearance when viewed from different angles.